Thunder Storm lashes Kathmandu airport Sunday night...Currently at 10.30 pm IST temp at 14c. As a WD moves East from Northern India, more rain and showers expected around Kathmandu on Monday and Tuesday. Next WD moves into Northern Sub Continent on 30th. USGS UPGRADES THE QUAKE TO 7.9!! 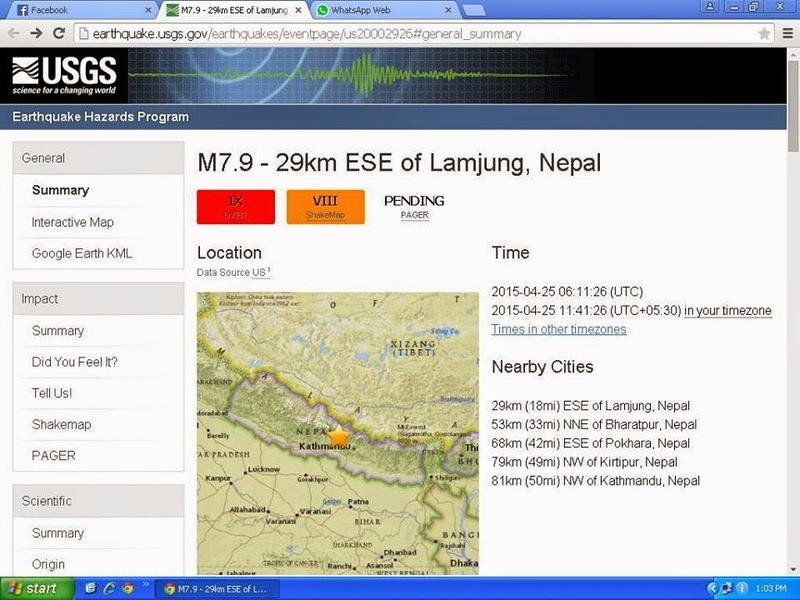 Vagarians from Delhi, Kolkata, Patna, and Varanasi report of heavy jolts and tremors. Weather Report sent by Vagarian Santosh from Kolkata is "self explanatory"..."Guess what is the feeling right now !! and Storm begins , Rains lashing , Vertical lightning ....!!!!!!!!!!!!!!!!!!!!!!!!!!!!!!!!!!!!!!!!!!! We all are safe .. "
Kathmandu is cloudy at 20c, but rain expected later on Saturday. 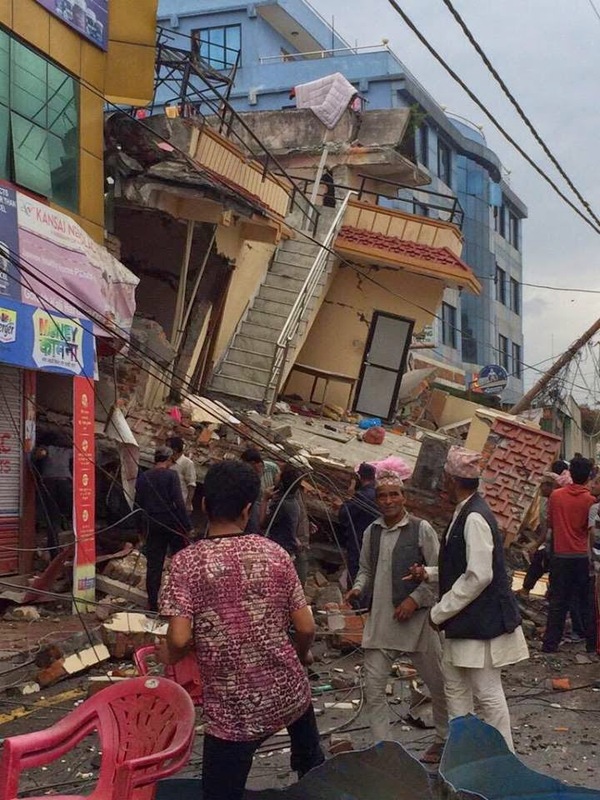 Many regions affected by quake can get showers on Saturday evening. Light snowfall likely in higher reaches. Thunder Squalls likely in Bihar, Jharkhand and West Bengal on Saturday. Heavy rains also likely. The cyclonic circulation extending upto 0.9 km a.s.l. over Comorin area and neighbourhood now lies over Comorin and adjoining Lakshadweep areas. The trough extending upto 1.5 kms asl. runs upto interior Tamil Nadu across Chhattisgarh and coastal Andhra Pradesh. A north-south trough between 3.1 & 5.8 kms asl runs from east Bihar to west-central Bay of Bengal. The trough extending upto 1.5 kms asl. runs to interior Tamil Nadu across Chhattisgarh and coastal Andhra Pradesh. As IMD orissa did not update their dailreport, compiling was not possible. A Squall passed over Bhubaneswar on 25.04.2015 at 22:45 hrs IST from easterly direction with maximum wind speed 52 Kmph and lasted for 3 min. 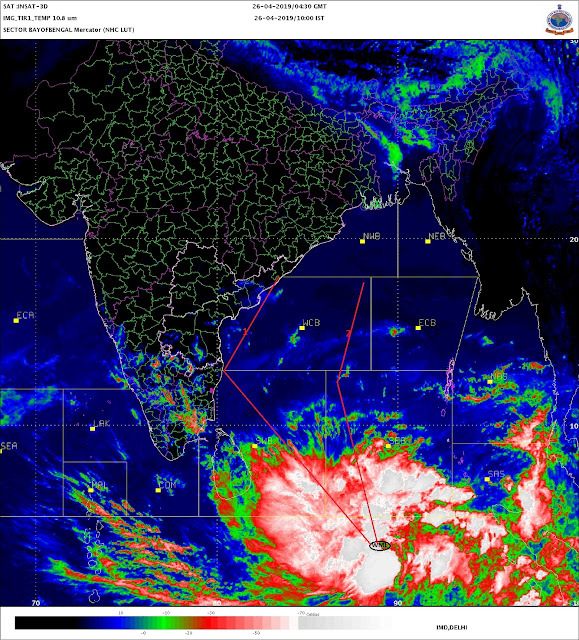 The trough extending upto 1.5 kms asl. runs upto interior Tamil Nadu across Chhattisgarh and coastal Andhra Pradesh. The trough extending upto 1.5 kms a.s.l. runs to Rayalaseema across north Chhattisgarh, Vidarbha and Telangana. The trough of low at mean sea level over equatorial Indian Ocean and adjoining south Andaman Sea now lies over south Andaman Sea and adjoining southeast Bay of Bengal. Singaperumal kovil reported hailstorms. The list is so long, hence the cut-off is kept at 45 mm. The trough extending upto 1.5 kms a.s.l. runs to Rayalaseema across north Chhattisgarh, Vidarbha and Telangana. The trough extending upto 1.5 kms a.s.l. now runs from to Comorin area across interior Odisha, south Chhattisgarh, Telangana and Rayalaseema. The trough from Telangana to extreme south Peninsular India has merged with the above trough. Palani got hailstorms after 40 years. Officials are inspecting the stranage yellow rains in Thirunallur in Karaikkal. The trough extending upto 1.5 kms a.s.l. now runs from to Comorin area across interior Odisha, south Chhattisgarh, Telangana and Rayalaseema. The trough from Telangana to extreme south Peninsular India has merged with the above trough. The trough extending upto 1.5 kms a.s.l. now runs from to Comorin area across interior Odisha, south Chhattisgarh, Telangana and Rayalaseema. The trough from Telangana to extreme south Peninsular India has merged with the above trough. Varthur in Banglore tops with over 100 mm rainfall. For 2nd day Banglaore region has topped karnataka rainfall. A trough extending upto 1.5 kms a.s.l. runs from Telangana to extreme south Peninsular India across Rayalaseema and south interior Karnataka. Bangalore outskirts got battered. 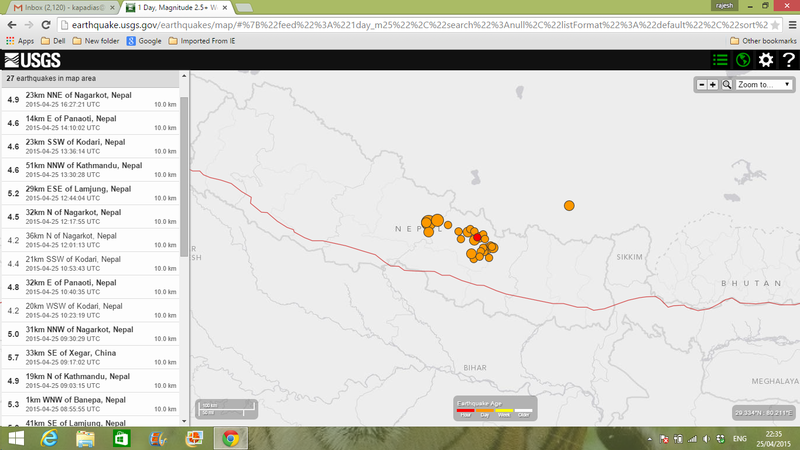 Rajesh Sir..is there a link between rains and earthquakes..? ?..why does it rain after quakes ? shripad: No, there is no link between meteorology and seismology...both are having different and absolutely separate parameters of performance. Bangalore IMD recorded 36mm rainfall till 8.30pm today. Temp is 19.8c. So an chilly conditions here..
Also Hail were reported in some areas of the city! !